KATHMANDU, Jul 3 2017 (IPS) - “Reconstruction and reconciliation require finances and physical structure, but the families of the victims of the conflict first and foremost need their integrity protected. Physical and financial compensation mean little without justice,” wrote Suman Adhikari nearly 11 years ago, during a ceasefire in Nepal’s Maoist insurgency. Today, as chairperson of the Conflict Victims Common Platform, Suman finds himself repeating many of the same requests. One of the Common Platform’s main demands is that the government provide needs-based compensation to victims. The state has paid most of them Rs 500,000 (4,834 US dollars) as interim relief since the conflict ended but Adhikari says one-off payments can’t replace many of the breadwinners who families lost; without them, many are still struggling to find sufficient work or pay school fees. “Many victims have been unable to get on with their lives. They are frustrated and suffer from psychological trauma,” he says. A recent report found that victims have diverse demands for ‘truth’. 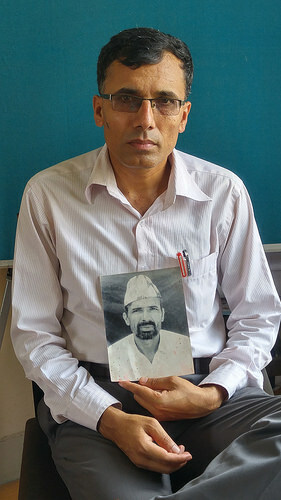 Prepared by the Nepal office of the International Centre for Transitional Justice and local think-tank Martin Chautari from recent interviews with victims, it noted that many people needed closure and an end to their ambiguous losses. “Our people will come home today or tomorrow. We watch the roads,” said one woman in Bardiya, the district that had the most disappearances during the conflict. The survivors want society to know that their kin were innocent victims, caught in the crossfire, adds the report. Just as victims’ demands varied, civil society also had different ideas about what transitional justice should achieve, says Mandira Sharma, co-founder of Advocacy Forum, an NGO that filed numerous court cases for conflict-era crimes. But those theoretical discussions were shelved when it became apparent that political leaders from both sides were hoping to use the process to avoid prosecutions, adds Sharma, who is now doing a PhD in human rights and law. Instead, Advocacy Forum and other groups continued to take cases to court. After victims received their interim relief, “You could have closed the chapter forcing victims to be quiet with that, but that would have been temporary: this deep sense of injustice would have remained,” Sharma says. Today though, transitional justice appears at a near standstill. The government created truth and disappearances commissions in 2014, but the legislation was severely criticised on several fronts. The Supreme Court later struck down a provision that grants amnesty for serious human rights violations. Human Rights lawyer Raju Chapagain says that while the laws creating the bodies must be amended, the truth commission could be making efforts to advance transitional justice, which would also help to diminish a strong sense of scepticism about the body. “Nothing is preventing them inquiring into human rights violations. Commissions have powers equivalent to courts; they have adequate powers in terms of inquiries,” he says. By taking action the commission could overcome its “credibility gap,” Chapagain adds, but it has failed to date, in part because it hasn’t engaged with victims.